An amendment by Labour to protect our EU rights and protections after Brexit has been defeated in the House of Commons. The Labour front bench sought to amend the EU (Withdrawal) Bill to ensure that after Brexit, EU derived employment rights, environmental protection, health and safety standards and consumer standards can only be amended by primary legislation. But the amendment was slimly defeated in the Commons on Wednesday night this week. Ken Clarke was the only Tory to vote for the amendment. During the Commons debate, Mr Clarke warned that there are some Government ministers who are “not excessively fond of workers’ rights” and retaining them after Brexit. The former Chancellor and pro-European asked why, if the Government did not intend to water down workers’ rights after Brexit, ministers were not prepared to enshrine this in the Bill by backing the amendment? Despite voting with the Government, the former Conservative attorney general Dominic Grieve – a strong Remain supporter – warned that laws protecting such rights will be brought to the “lowest possible status” in Parliament after Brexit. Shadow Brexit minister, Matthew Pennycook, said that Labour had put forward the amendment to the bill to prevent secondary legislation being used by future governments to “chip away at rights, entitlements, protections and standards that the public enjoy and wish to retain” after Brexit. He added that Labour wanted to ensure that retained EU law – on employment, equality, health and safety, consumer and environment – “is accorded a level of enhanced protection that it would otherwise not enjoy”. But of course, this is the key to what Brexit is all about. Instead of getting our country back, we’re going to lose it. The ruling classes want Brexit because they don’t want the likes of us, ordinary people, having rights that get in the way of the rich making more money, and lots of it. Those who also thought that Brexit meant our Parliament will get more sovereignty should think again. 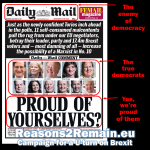 Our Parliament is losing sovereignty; they are giving it away, eroding our democracy and our current rights and protections, with the false pretence that this is what ‘the people’ want and voted for. MPs in the Commons also voted down an amendment to the EU Withdrawal Bill put forward by Green Party MP, Caroline Lucas, by 313 votes to 295. Her amendment sought to ensure that animals continue to be treated as sentient beings after Brexit in domestic law. Under EU law, animals are currently recognised as being capable of feeling pain and emotion. But MPs voted to drop the inclusion of animal sentience into the Withdrawal Bill. The Government argued during the debate that animal sentience is already covered by the Animal Welfare Act 2006. But Farming UK reported the RSPCA as saying that this wasn’t the case. RSPCA Head of Public Affairs David Bowles said it was a “truly backward step” for animal welfare. “It’s shocking that MPs have given the thumbs down to incorporating animal sentience into post-Brexit UK law,” Mr Bowles explained. Mr Bowles added that the decision by Parliament “flies in the face” of the Environment Secretary Michael Gove’s pledge for high animal welfare standards post-Brexit. During the debate on Labour’s amendment to ensure that EU rights and protections are protected after Brexit – known as ‘new clause 58’ – Shadow Brexit minister, Mr Pennycook, explained that a substantial part of UK employment rights is derived from EU law, and an even larger body is guaranteed by EU law. During the referendum, the then Minister for Employment, Priti Patel, called for the UK to “halve the burdens of EU social and employment legislation”. 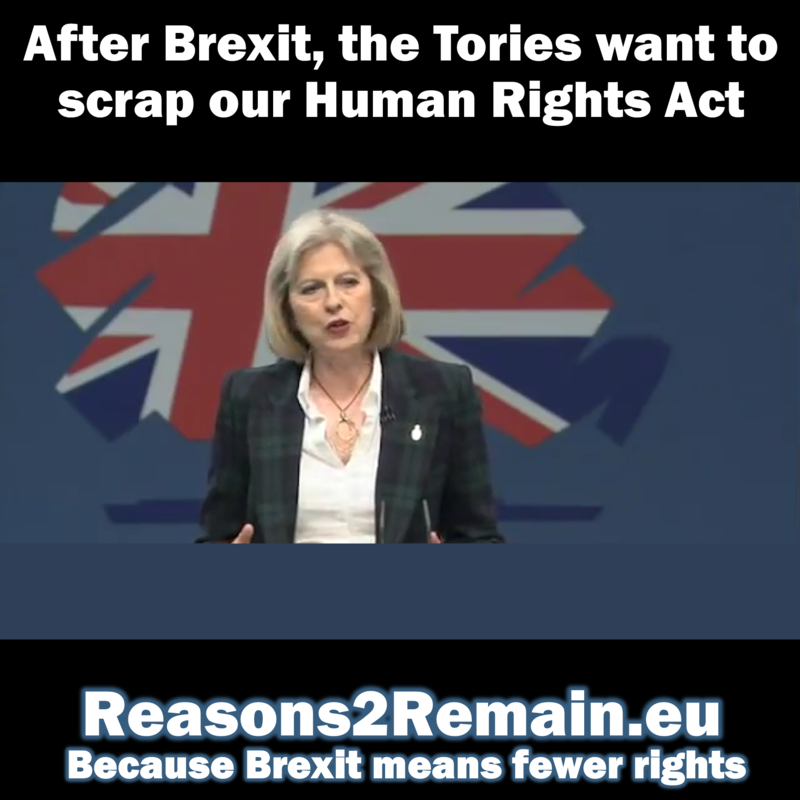 “We should not take risks with rights, standards and protections that have been underpinned by EU law. “Hard-won employment entitlements, along with entitlements relating to the environment, health and safety, equalities and consumer rights, should not be vulnerable to steady erosion by means of secondary legislation outside of the powers contained in this Bill. 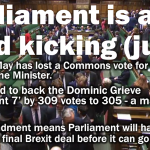 But Conservative MPs spoke strongly against the amendment; indeed, all the proposed amendments to the Bill were lost last night, as one after the other the government managed to have them voted down. “I have heard strong assurances from all parties that there is absolutely no wish to water down employment protections or environmental protections, and I see absolutely no evidence that anyone would try to do that,” he said. But Labour back bencher, a strong Remain supporter, Chuka Umunna, said it was important to have more than assurances to protect some of the vital rights that are currently protected in EU law. 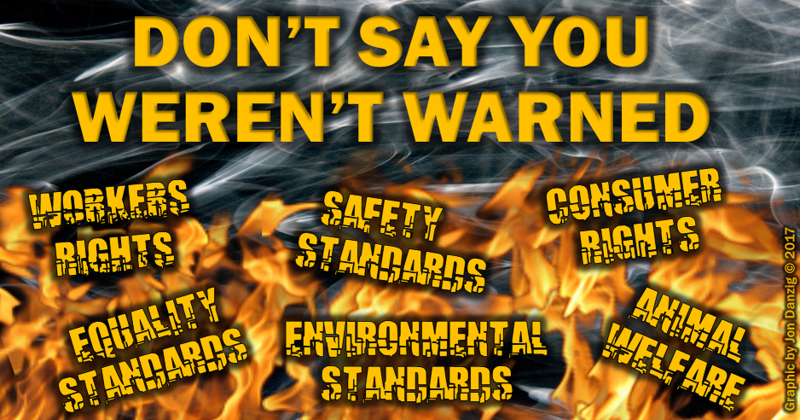 “In particular, we should protect their [current] enhanced status,” he said. 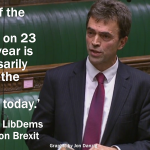 However, at precisely 6:44pm the Commons voted 299 votes to 311 against the proposed amendment to protect the current status of EU protections and rights. As Ken Clarke said during the debate, if the Government did not intend to water down workers rights after Brexit, why wasn’t the government prepared to back the amendment protecting those rights after Britain leaves the EU? Isn’t it true that Parliament has just burnt our right to rights? 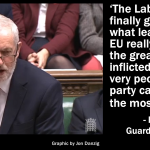 Has Corbyn seen the light on Brexit? This entry was posted in Current Affairs, Democracy & Citizenship, Law & Justice, Politics & Public Policy, The EU and tagged animal welfare, brexit, Chuka Umunna, consumer rights, environmental standards, equality standards, EU Withdrawal Bill, European Union, Ken Clarke, safety standards, workers rights. Bookmark the permalink. Previous: European Union or a new Soviet Union?